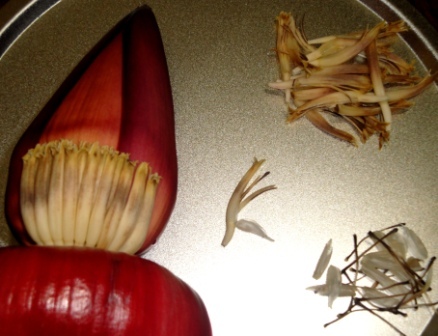 Clean and wash banana flowers and mix all ingredients together. Heat oil and fry like crispy pakoras. Serve hot garnished with coriander and curry leaves.